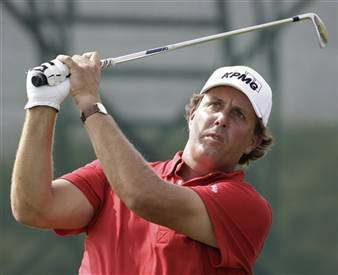 I was thinking about all of the hullabaloo generated by self-avowed carnivore and psoriatic arthritis sufferer Phil Mickelson’s apparent change to a vegetarian diet to control his PsA and the inflammation it brings. Though there seems to be some debate over the validity of this, a few studies I found seem to have found a link between a vegetarian or vegan diet and reduced inflammation, like this one. It got me thinking. When I was in high school and through part of university, I was a vegetarian — though I did still eat some dairy. This was after I was diagnosed with psoriasis, though the good doc never mentioned anything about it being an immunological disease. But within months after going back to eating meat (including rare steak: yum! ), I developed psoriatic arthritis. Now, I’m not trying to say steak caused my PsA. (Though, wouldn’t it be nice if getting rid of a chronic disease was as easy as saying good-bye to steak?) Still, I decided to give it a try again. Sure, it may not do much of anything for me, but, at this point, I’m willing to give almost anything a try. To that end, I made a (modified) version of the grilled portobello tacos with salsa verde from Vegetarian Times. I had planned on making the salsa verde, but after a particularly terrible day at work (preceded by two 12-hour days), I decided to pick some up from Trader Joe’s instead. 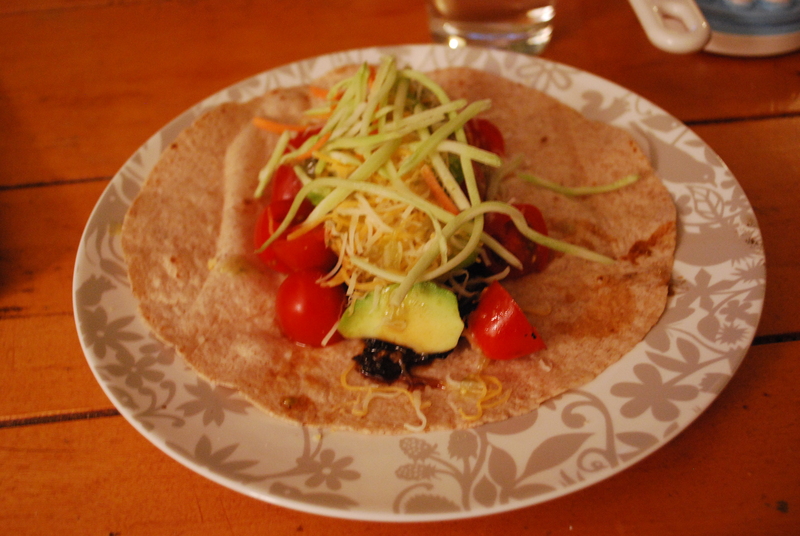 I also used the Trader Joe’s broccoli slaw instead of cabbage and I used whole grain tortillas instead of white flour ones. Oh, and I added a smidge of cheese. I should have added more salsa verde, but other than that it was really great. I am glad I still have all the ingredients, so I can make some later in the week, too. If all my vegetarian endeavours are this tasty, I’ll be golden! Or, um, green. can i have phil mickelson’s psoriatic arthritis? Golfer Phil Mickelson’s recent announcement that he has psoriatic arthritis has been blowing up my Google Alerts since his press conference. And though I have read many of the articles about it, I’ve found most of them to be incredibly disappointing. Many of the reporters evidently decided to take what Mickelson said about PsA at face value, instead of doing the five seconds of research that would suggest that starting Enbrel does not mean everything will be coming up roses. Weekly shots have brought the disease under control, and Mickelson said there shouldn’t be any negative impact on his long- or even short-term health. Weekly shots of Enbrel lower his immune system, and Mickelson said the difference was noticeable almost immediately. I’m pretty sure that’s not how it works. Since Mickelson went to the Mayo Clinic, I’m hoping his doctors told him biologics, like Enbrel or Humira or Orencia or Remicade — all of which I have been on and all of which stopped working for me after a promising beginning — don’t necessarily always keep on working. For some of us, they may never work or they just might stop helping after awhile. Regardless, psoriatic arthritis — a chronic, potentially debilitating condition — is something to be concerned about regardless of whether the current treatment is working. This New York Times article does better job of explaining what Mickelson faces. And I get why Mickelson is (hopefully) just downplaying the seriousness of what he has. When I was first diagnosed, I didn’t really want to face it either. I did the same thing, though my doctor’s optimism led me to believe it wouldn’t be so bad. Still, it’s really disappointing that the many reporters didn’t take the time to take a step back and phone a dermatologist or a rheumatologist or even hop onto the National Psoriasis Foundation’s website to find out more than what Mickelson was saying. Now, I’m sure there are many people out there thinking PsA isn’t a big deal, that it’s just a matter of popping onto a drug for about a year and everything will be hunky-dory. Never mind that Enbrel, and other biologics, are powerful meds with potentially dangerous side effects. Never mind that psoriatic arthritis is different than the arthritis Grandma has in her knee, that it’s a chronic condition. I think it’s a shame that what could have been a really great opportunity to raise awareness about immuno-arthritis and other chronic illnesses has turned into a joke, with sports writers devoting more space to Mickelson’s turn to vegetarianism than to his disease. I hope that Mickelson’s predictions come true for him. I hope it does only take a year on Enbrel and his symptoms never come back. But even if they don’t, his PsA isn’t gone just because his joints don’t hurt. I hope Mickelson’s symptoms go away for good, but I won’t hold my breath. I am not a doctor, a nurse or any other kind of medical personnel. I'm a patient. Don't take anything I say here as advice. Or, if you do, do it at your own risk. I'm Nessie, a twenty-something who still seeks to maintain her love of style to express herself despite the challenges presented by psoriatic arthritis. I work as a journalist and love using a combination of words and photos to tell a story. Though sometimes it feels like my life has boiled down to being someone who has a chronic disease, I'm working on showing others — and sometimes myself — that I'm more than that. I am more than my disease. Drop me a line at NessiehasPSA [at] gmail [dot] com. I accept bribes in the form of cupcakes, cookies and gift certificates to Mod Cloth. what would a nerd wear?